State of the problem: one of the important tasks in the organization of group (swarm) modular robotic systems is the development of simple and reliable reusable systems of docking/undocking modules. Depending on the purpose, the docking devices can be one-time and reusable and provide automatic docking/undocking of the command connection from the control system. Also, the docking/undocking units can be semi-automatic, when the mobility of the modules themselves is additionally used. In necessary cases, in order to simplify the robotic systems, the operations of docking and undocking of modules can be performed manually by the operator or manipulator. In all cases, after docking, the connection Assembly must be highly rigid and exclude uncontrolled mobility of the joined elements. The purpose of the study: the Choice of the basic types of systems of docking/undocking for mobile robots modular type that are grouped in the active group structure. Results: an overview of the known principles and devices that can be used for docking modular mobile robots is given, and their classification is given. A comparative analysis of docking devices and recommended basic samples for solving group problems are shown. 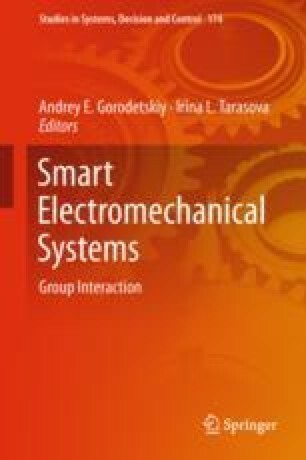 New original devices and docking joints of connected modules with the formation of group structures of various applications are presented. Practical value: of the Presented device docking/undocking of the mobile robots module type allow you to create a group (swarm) of active multifunctional robotic structures with based on SEMS. Such group structures will be able to solve a wide variety of problems in extreme and a priori uncertain conditions.